In the thirties Salomo Mendels established himself in Meppel. Mendels was born in Wolvega in 1880, where he had a slaughterhouse for the export of meat. In the twenties and thirties there were three prospering companies in Wolvega which exported mainly pork. The slaughtered animals were packed in crates and exported mostly to England. Once in England it was known as London Pork. Mr Mendels and Mr Slager owned one of these three slaughterhouses. It was located in a building north of the railway track. After a few years the building became too small, so they bought the slaughterhouse of the Leser family, on the south side of the railway tracks. One of the owners, the Slager family lived in Steenwijk and the other owners were the two gentlemen Mendels from Wolvega and Meppel. Emanuel Mendels lived on Helomalaan in Wolvega and was married to Elsje Davidson, born in Lemsterland in 1884. They had no children, but had a foster-son living with them, Abraham Delmonte. The mother of Abraham was a relative of the Mendels family. Abraham also worked in the company as book-keeper. Salomo married Evalina Haas (born in Almelo in 1878). The couple had four children: Mina (1912), Rebekka (1913), Esther (1915), and Benjamin (1916). Bennie probably loved berries, because as soon as the berries were ripe he would crawl under the fence of the neighbours to enjoy the ripe berries. The Mendels family: father, mother and the children Mina, Rebekka, Esther and Benjamin. 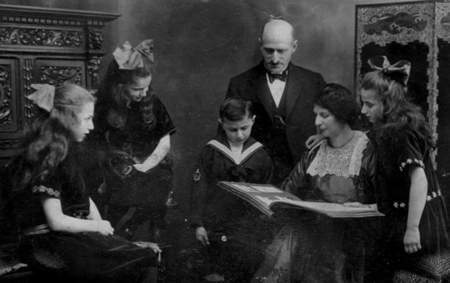 The family came to live in Meppel because of a better ‘Jewish climate’. Meppel had a larger Jewish population than Heerenveen. Mr and Mrs Mendels were practising Jews and looked for their four children and themselves a suitable area to live in. Meppel was just as far from Wolvega as Heerenveen, so the distance was not a problem. 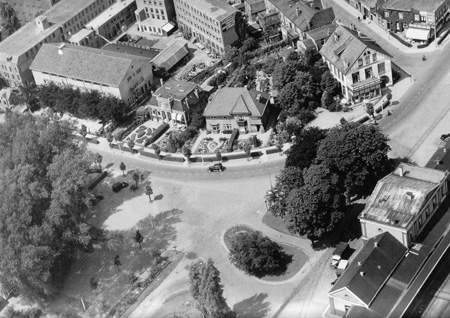 When they came to Meppel they lived on Emmastraat and later moved to 49 Stationsweg, opposite the station. That was handy for father (later for Benjamin);they could take the train to their work in Wolvega. Mr Mendels soon had an important place in the Jewish community of Meppel. He succeeded Salomo van der Sluis as a member of the board of Gemilath Gassadim. Mina the eldest of the children finished her four years at MULO (secondary education) in Meppel and later took courses at the ‘commercial evening school’, after which she got a job at the office of the textile trading firm Mesritz on Prinsenplein. In 1935 she married Keizer a Jewish young man from Zwolle and they moved to the Vischmarkt in Utrecht. 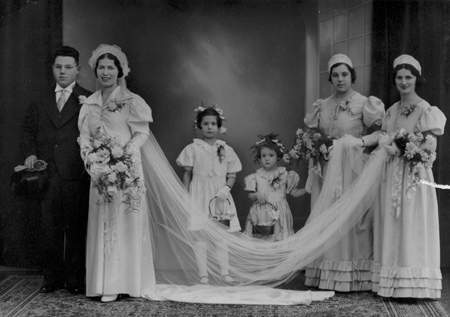 Their wedding was one of the few really Jewish weddings held in Tivoli on Stationsweg. A kind of canopy had to be built for the bride to walk under. Rebekka left for Amsterdam in 1941, so from that moment only Benjamin and Esther lived at home. Benjamin worked for his father. Both are officially mentioned as ‘butchers for export’. The wedding of Mina Mendels and Simon Keizer in Meppel in 1936. In July 1942 Salomo Mendels was sent to work in Orvelte and on the 17th of August Benjamin was to be transported to the labour camp in Linde. The day he had to report to be transported by DABO-bus to Linde, he escaped. That was the beginning of the Mendels family going into hiding for the duration of the Second World War. The last thing the family did in Meppel was to make sure that part of their household goods were put in a safe place. When the order from the Mayor of Meppel came that the house should be handed over to the soldiers of the Wehrmacht, Mrs Mendels contacted a friend, a building contractor living on Emmastraat. He removed the most expensive objects from the house and kept them for them throughout the war. When the family returned to Meppel after the war, at least these goods had been saved. War at the wedding of their son Benjamin. After the war, Salomo and Evalina Mendels returned to their house on the Stationsweg in Meppel. They tried to make a fresh start. Salomo started a firm for exporting freshly slaughtered pork, mutton, beef, veal and lamb in Wolvega. Around 1950 the company was closed. Meppel had changed for them too; the Jews had almost disappeared and two of their children were living elsewhere. After Salomo had stopped working around 1950, it was obvious that the next thing was to leave Meppel and move to Utrecht. In the meantime they were well over sixty-five and moved into a part of the house that their daughter Mina and her husband had had built in Oog en Al in Utrecht. Benjamin Mendels married Nanny van der Sluis after the war. Together with their children they lived in Meppel for a while. Benjamin married Nanny van der Sluis in Staphorst on the 7th of January 1947. First the couple went to live at 14 Cornelis Houtmanstraat and later they moved to 2 Catharinastraat. They had three children, all born in Meppel: Hans Berthold (Hans), Bertho Menno (Bertho) and Hetty Renée Betsy Evelynn (Hetty). On 28 May 1962 the whole family moved to Apeldoorn. 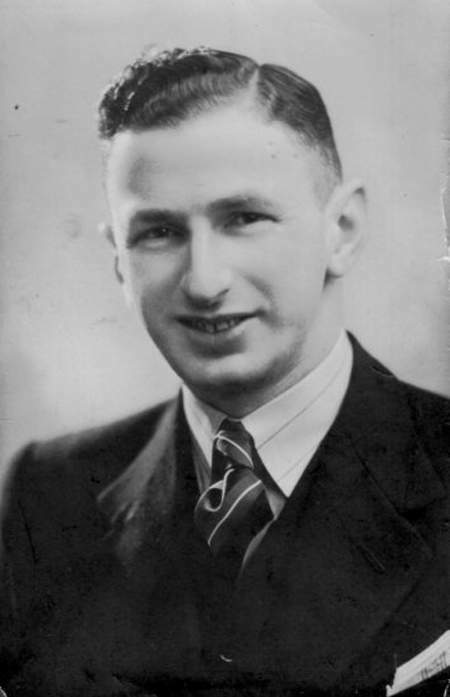 Bertho Mendels died on the 30th of January 1988 after an accident. His father Benjamin died in the same year on the 1th of september. On the 1st of May 2004, Nanny Mendels-van der Sluis died in Apeldoorn. She was buried in the Jewish cemetery in Meppel near her mother, Betje Roos. Mother and daughter and Hartog Stoppelman were the only people buried at the Jewish Cemetery of Meppel after the War. This shows clearly what has become of ‘Jewish life’ in this city. children Hans, Bertho and Hetty in Catharinastraat.